Parking Deck: Two separate levels of free parking in the parking deck are accessible from either the hospital's Pershing Street or East State Street entrances. Patients parking in the deck should go to the main lobby and take the glass elevator to the second floor. Turn left after exiting the elevator and continue straight down the hallway past the elevators to the hallway intersection, where you will turn right. Follow the signs to Dr. Yan's office in the Neurology and Neurodiagnostics Clinic, which is located in the former oncology unit. 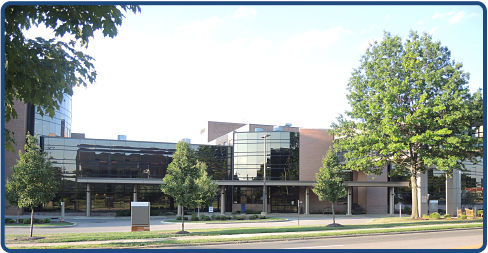 North Lots: Additional free parking is located across the street from SRMC, near the SRMC Professional Services Building. Patients parking in these lots should enter the ground floor entrance of the SRMC Professional Services Building and use the elevated walkway to cross East State Street. Continue straight down the hallway past the elevators to the hallway intersection, where you will turn right. Follow the signs to Dr. Yan's office in the Neurology and Neurodiagnostics Clinic, which is located in the former oncology unit. Handicapped Parking: In addition to the handicapped parking available in SRMC's parking deck and north lots, a limited number of handicapped spaces are located near the Hospital's main entrance. Upon entering the main lobby, take the glass elevator to the second floor and follow the directions as above.